Ru in Viet namese means lullaby; in French it is a small stream, but also signifies a flow – of tears, blood, money. 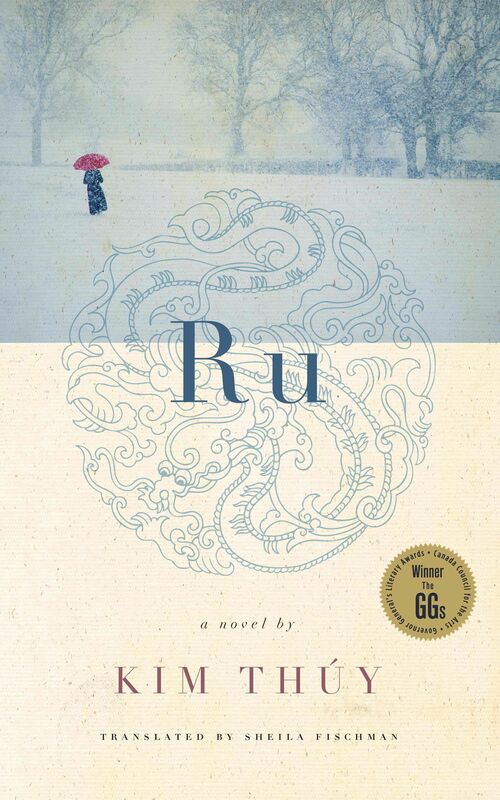 Kim Thuy depicts the flow of a life on the tides of unrest and on to more peaceful waters in her book Ru. She carries us on an unforgettable journey from a palatial residence in Saigon to a crowded and muddy Malaysian refugee camp, and onward to a new beginning in Quebec. The narrative moves from past to present, from history to memory and back again and sometimes it is confusing as to which is which. The narrative voice changes from first person to third, depending on what is being shown in the story, also lending to weight to the confusion. The scenes are short, like snapshots of life from different perspectives; beauty, sensuality, brutality and sorrow, comfort and comedy. The book is a quick read (only 152 pages) and provides a look at what life was like for some of the boat people fleeing Vietnam during the Tet Offensive. I would say it is worth reading a couple of times so as to gain as much insight as possible into the heroine’s story. Here, There Be Dragons is the first book in the Imaginarium Geographica series. This fast paced, action packed, fantasy for Young Adults (ages 12-26) depicts a world that exists adjacent to and reflective of our own Earth. The premise is that there is a keeper of the Imaginarium Geographic w hich is, by definition, an atlas of imaginary lands. The story begins with the current keeper being killed by beasts from across the veil and the reluctant caretaker in training being immediately summoned to take his place. This young man is accompanied by two companions on his journey into the fantasy world depicted by the atlas in his possession. The trio are immediately immersed in the power struggles occurring there and are called upon to use imagination, ingenuity, industry and sometimes sheer luck to, firstly, keep the book safe and then to resolve the tensions and outright battles that are inherent in a world devoid of its leader and in danger of being taken over by the evil Winter King. The twists and turns of plot will keep you on the edge of your seat. The characters are believable and easy to identify with. Through the course of the novel the characters show a great deal of growth and gain valuable insights during their adventures. The description is superb, lending itself perfectly to the depiction of another world. The language is simple and easy to follow but by no means dull or unintelligent. All in all I found the book to be enjoyable and difficult to put down. The rest of the series promises to be well worth reading. paying her bills, plus, a shady loan shark is becoming very threatening. When she receives a lawyer’s letter concerning an inheritance, she thinks she is home free. Even though she realizes there is a mistake on the paperwork, the names are the same but they have the wrong person, she uses the last of her money to go to meet the lawyer & family , sure that she can pull off a scam. 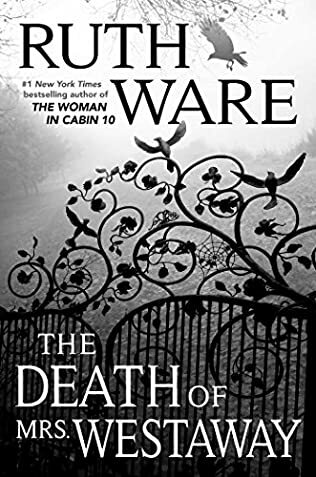 Ruth Ware has woven a story of hardship, lies, scams, intrigue & danger. If you want a good read with a different story line & plot, borrow this one from library. We have a few others by this author. All have unique topics that keep you guessing til last page. In this story, friends Colin and Prue venture into the Impassable Wilderness when Prue’s baby brother is taken away by crows. Prue and Colin adventure through the various societies within the woods in search of Prue’s brother. 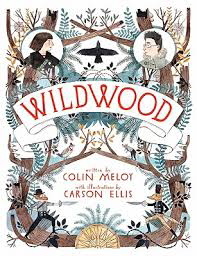 Along the way, the heroes meet characters in this secret world warring with one another including the Dowager Governesses and her army of coyotes, the birds of the avian principality, the bandits of Wildwood, the peaceable mystics and the leaders of south wood. The characters become entwined in a battle for the freedom of this wilderness. The story is written by the leader of the band, The Decemberists, and his writing style is much like his songwriting: poetic, whimsical and clever. The story oscillates from the point of view of Prue to that of Curtis as their adventures diverge and then converge at the climactic ending. The book is very Narnia-esque, and is very much a coming of age story for the two main characters. This book is recommended for ages 10+, and would work well as a read-aloud book for parents. 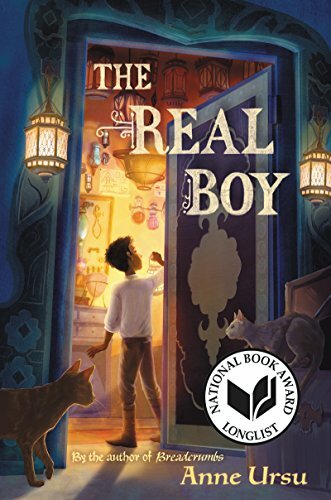 The content is far beneath that, in maturity, of a true middle grade book, but the sheer heft of this volume will likely intimidate younger readers away from reading it themselves. Controversial points: the largest complaint besides the length seems to be that the vocabulary is troubling and perhaps not age appropriate. Outstanding points: This was a great escape into a secret world of adventure. The reader becomes very happily lost in the Wildwood along with the characters. The illustrations by Carson Ellis are gorgeous. On an island on the edge of an immense sea there is a city, a forest and a boy. The city is called Asteri, a perfect city saved by the magic woven in its walls when a devastating plague swept through the world years before.The forest is called the Barrow, a vast wood of ancient trees that encircles the city and feeds the earth with magic. The boy is called Oscar, a shop boy for th e most powerful magician in the Barrow, who spends his days in the dark cellar of his master’s shop grinding herbs and dreaming of the wizards who once lived on the island. Oscar’s world is small, but he likes it that way. The real world is vast, strange and unpredictable. And Oscar does not quite fit in. The wizards have long since disappeared and the city children are falling ill. Something sinister and dangerous lurks in the forest. Oscar has held the same belief as all the islanders, that the magic will keep them safe. Now even the magic is not enough to save the island. Though this book is geared to an audience of 8 – 12 year old children it has many messages for children, teens and adults alike. It is a book about transformation, belonging and courage. Oscar, refreshingly candid character, is a dynamic lad who shows a great deal of growth throughout the story. I found myself cheering him on at each new challenge, willing him to be strong enough, brave enough to meet life and the problems it is suddenly presenting head on. The plot has twists and turns to keep readers interested right until the last page. I think people of all ages will find this an irresistible read.